There is no better time than NOW to buy a home with pricing competitive and all-time low interest rates. The key is buying SMART. Our Executives’ extensive experience in the Manhattan, Kansas residential real estate market equips them with an understanding of the market so that your purchase is a smart one. Diversify your portfolio. Set up a strategy for your child’s college education. Weis Realty Executives specializes in corporate and individual relocation, real estate investment strategies, first time home buyers and residential real estate needs. Our Executives are extremely knowledgeable in all areas of Manhattan, Kansas area real estate whether its residential or investment. The Weis Realty Executives group has more than 80 years of combined real estate experience in the Manhattan/Fort Riley area. Our Group is made up of experienced residential and commercial real estate professionals. Nobody services the Manhattan, Kansas area real estate like we do! We provide exceptional levels of personalized client service, based on honesty and integrity. With the Weis Realty Executives group, you will be accompanied by one of our Executive Realtors® throughout the buying and selling process. Our priority is addressing your specific needs promptly and professionally. An Executive Agent will listen carefully to your real estate needs and consult with you to establish goals and priorities that are compatible with your personal preferences and financial qualification. Your agent will carefully consider your needs and work diligently to save you time and money in finding the best property in the right location. We will work on your behalf with local lenders to arrange the best terms and rates. We want to save you as much money as possible over the life of the loan, as well as upfront out-of-pocket closing costs. Your Realty Executive will provide educational materials and professional guidance regarding customs, laws, and regulations that affect the real estate buying and selling process. Put the area’s most accomplished residential Realtor® group to work for you. Contact us today and talk with one of our highly qualified Weis Realty Executives who specializes in residential and commercial real estate. In addition, a Weis Realty Executive is present during all inspections of your property, since you may not be able to attend yourself. We also assist you in the process of inspection negotiations and the resolution of all transaction details. Expect nothing short of expert professional counsel regarding your property purchase. We will make sure you are aware of all options available to you. Like others who have written their thanks, we hope you will find this your best real estate experience ever. Ready to build the “American Dream?” Buying a home or business space can be exciting and terrifying at the same time. Luckily, Weis Realty Executives can lead you in the right direction toward the home or commercial space of your dreams. What are you looking for in a new home or space? Are you financially in a position to make this purchase? How does your credit look? Make a list of all the features and amenities that you want in your new home or commercial space. It is important as a Buyer that you establish some kind of financing before you make any kind of serious offer. The “pre–approval” process allows lenders to take a look at your finances and credit history in order to make a general assumption about your loan amount. Having a good relationship with your lender is paramount, and having a real estate professional involved in your conversations with a lender will be very helpful. During the pre-approval process, take the time to decide if this is the lender with whom you want to do business. It’s important to have one of our Weis Real Estate Executives involved in the pre-approval portion of your buying experience. We have assisted hundreds of clients through this process and can offer you our experience in translating the banking lingo into plain language. What is the location that would best serve your needs? What school district do you prefer? How far is this home from your job? What square footage do you need? What style of house or commercial space are you attracted to? What amenities do you desire (ex. pool, fenced-in yard, etc.)? What amenities would best service your business (loading dock, parking lot, etc.)? Does this property have unseen potential to increase in value? Thanks to the efforts of your Realty Executives REALTOR®, internet, print advertising and the Multiple Listing Service (MLS), searching for a home or commercial space is becoming easier than ever before. Beginning the search can be a great feeling. But you must be sure to directly communicate what you desire to us, as your professional representative. Looking for a home or commercial space in an area where you feel comfortable is key. Be sure to tell us to look in specific areas that appeal to you. Once you’ve found a property you like, tell your Realty Executive what you like and dislike about it. As your chosen REALTOR®, a Weis Realty Executive will take you through every step of the offer process – from writing the contract, negotiating the price, renegotiating, adding addendums, making the final offer and drawing up the final contract, through inspections – and handing you the keys! 2. Reject the Seller’s asking price and have your agent make a different price offer. 3. Offer different terms and have your agent write a contract. Again, communication is essential. It is also important to be realistic when it comes to how much you can afford when making an offer on a property. Is this your first real estate purchase? Applying for a loan requires completion of a loan application and specific financial documents, including pay stubs, rental checks and/or tax returns. You can receive a loan from a number of different financial institutions, namely: commercial banks, credit unions, mortgage bankers, mortgage brokers, savings and loan associations, mutual savings banks and insurance companies. Insuring your home is like making an investment in your future. You work hard to have a home and homeowners insurance protects you and your family from someone or something taking it all away. Title Insurance – which protects you in the event that the title on your property has a lien, unpaid taxes, or other legalities that would make it invalid. Homeowners Insurance – which protects your home from fire, theft and other liable coverage. Flood Insurance – which protects your home from flood damage. Home Warranty – which offers buyers and sellers the peace of mind that should anything unexpected happen (due to normal, everyday wear and tear) of the home’s appliances, heating, air conditioning, plumbing, and electrical systems, it will be repaired (or replaced in some cases) for you without costly fees. Closings usually take from 30-60 days to complete. This mainly depends on the Buyer’s financing availability, successful home inspection completion, and various lender conditions (ex. title search, title insurance, termite inspections, surveys and appraisals). The closing process is the transfer of the title of the property from the Seller to the Buyer. 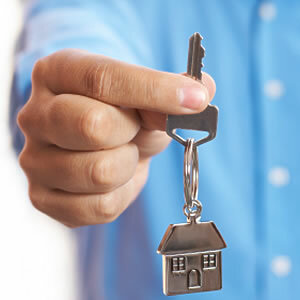 The Buyer will receive the keys to the home or the deed to the land, while the Seller receives payment for the property. The amount the Seller receives is based upon the amount that is still owed on the mortgage, any outstanding fees or taxes and any additional closing costs. All legal papers are filed with the local recording office. It is this step where the Buyers and Sellers do very little. It is important to take a final walk through the property to make sure the property’s condition has not changed. It is equally important for both the buyer and seller to make sure the paperwork they are signing reflects the agreement of the original sale. You have unpacked boxes, arranged your furniture and feel complete with your moving task. What’s next? There is always an adjustment period when you move. It is important to understand that what you, your spouse and/or children may be feeling is completely normal. It is important to get outside and tour the neighborhood or take a drive and visit some new places around the community.